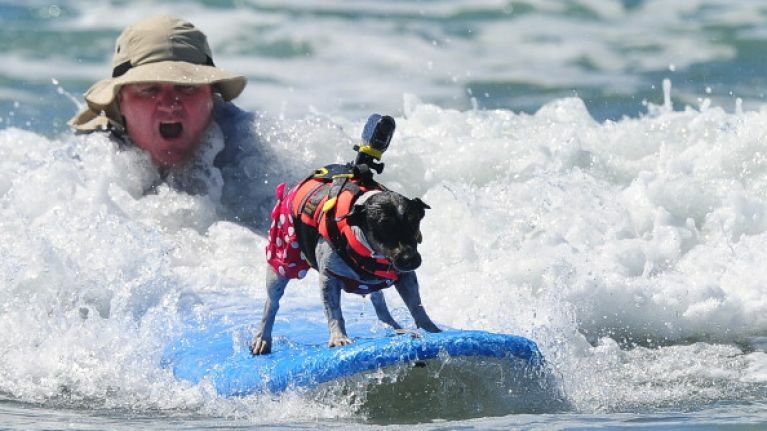 Video: This dog surfing competition is sure to put a smile on your face. JOE has tried surfing on a couple of occasions and it's always ended with water up our nose and the feeling of utter embarrassment, it looks easy but as you probably know, it's not. One way to make it easier would be have have two extra legs for balance and this was proven at the recent Dog Surfing Competition in San Diego. Money raised from the event went to the San Diego Humane Society.